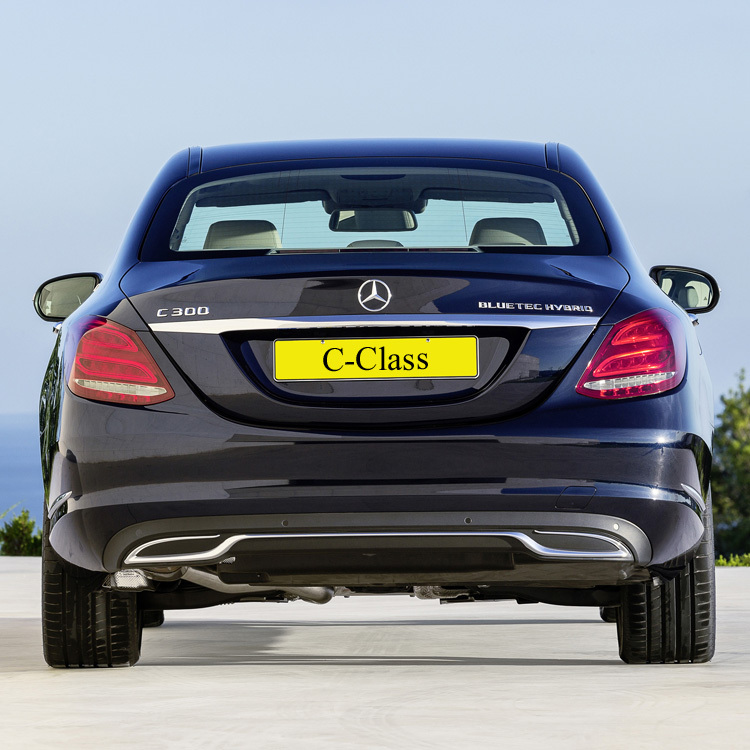 The Mercedes C-Class offers you the opportunity to transport your customers in style. For the driver; innovative technology, exceptional comfort and improved performance are all part of a package you can’t afford to miss out on. * Combined cycle, C220d manual transmission. If you’re looking for an executive vehicle, the new Mercedes C-Class, which goes on sale in June, has an awful lot going for it. It’s well-equipped, practical and arguably has a classier interior than any other compact executive car on the market. It also has an impressive arsenal of technology and becomes the first compact executive car available with air suspension – albeit as a cost option. 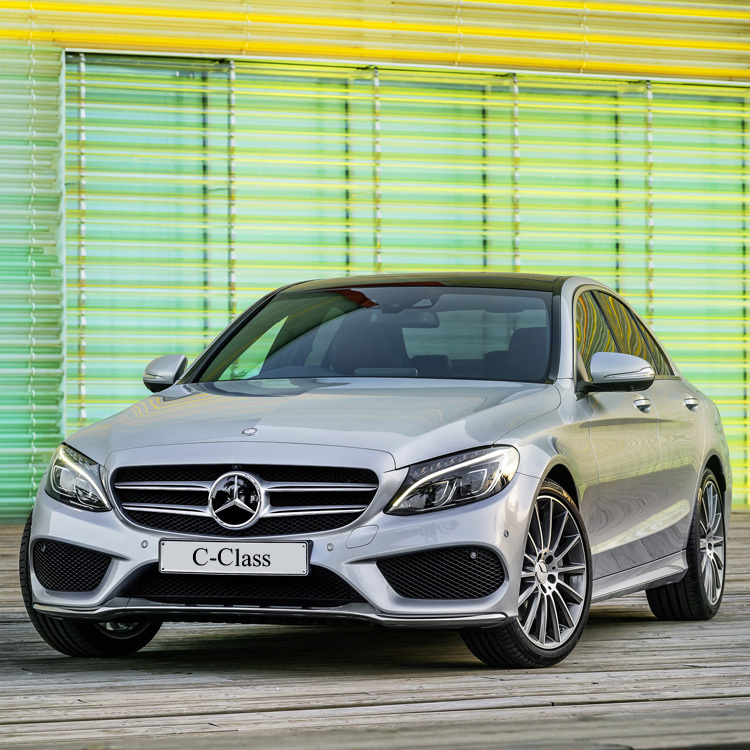 The new C-Class will initially be offered with two 2.1-litre diesels – one with 168bhp (C220 BlueTEC) and the other with 204bhp (C250 BlueTEC). 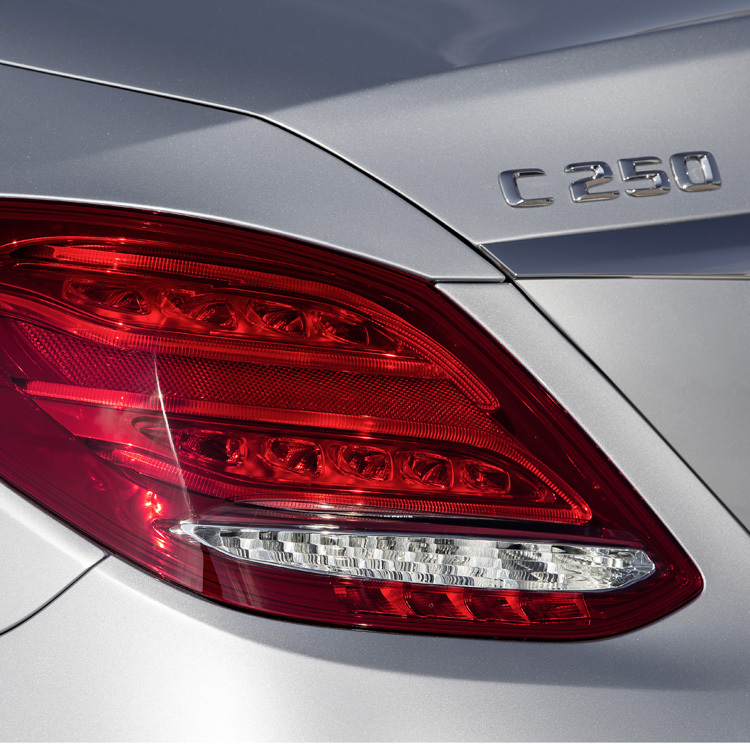 However, plenty more engines will follow, including a 99g/km C200 BlueTEC diesel and a C300 diesel hybrid that will emit just 94g/km of CO2. 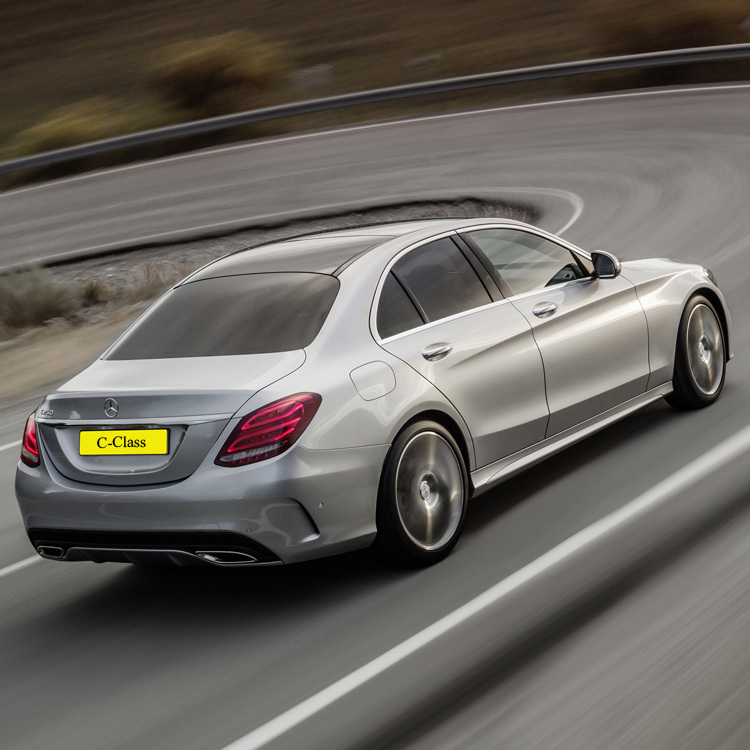 In terms of speed, the C250 BlueTEC reaches 62mph in 6.6 seconds. Yet it’s rated at 65.7mpg in the official cycle, for 109g/km CO2. Mighty good figures for a big, quick automatic saloon. 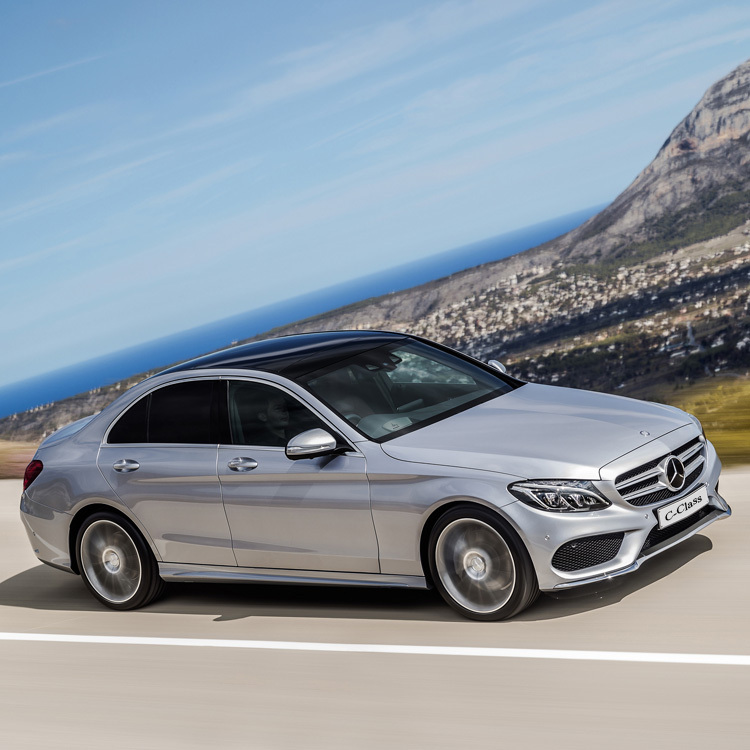 Unlike its predecessor, the new C-Class features a four-link suspension at the front which means the cornering forces can be managed separately from the shocks that affect the ride. The optional, first in its class, full air suspension quietly swallows every sort of violence the road visits on it. The new C-Class is quiet too, thanks to the new diesel engines being better-subdued than in past Mercs. It’s a bit gravelly at idle but when you give it work to do it’s well muted. And, as noted, it’s got decent performance, though you’ll want to stick the autobox in sport mode to get much enthusiasm for sudden sprints. 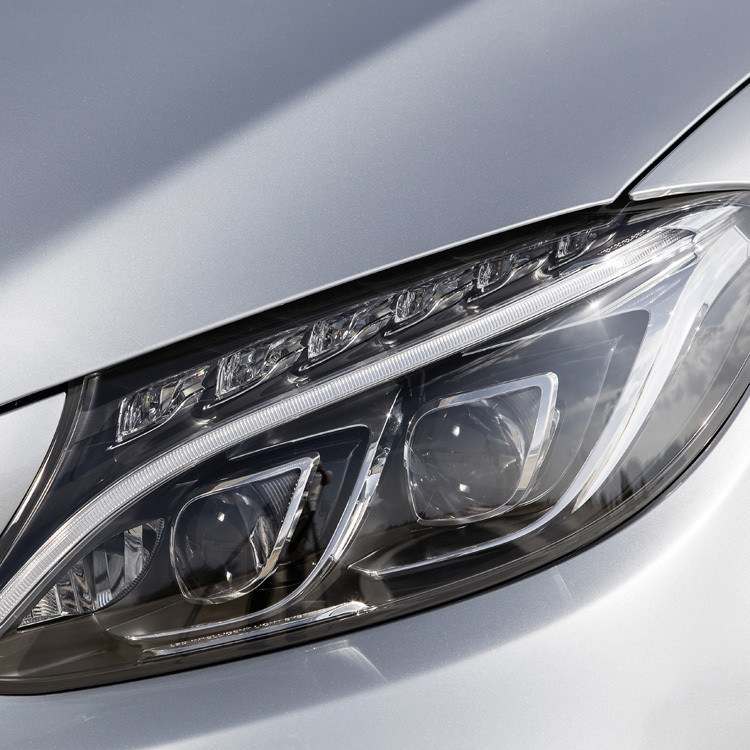 The new C-Class sports a sleek exterior – confident but not pushy. It’s also exceptionally aerodynamic. And inside there’s masses of tech if you spec it and a screen that guides you through all the options in a series of slick animations. It’s easy to use too, with a quadruple-redundant layout of a big control-wheel, shortcut keys, voice activation and a new touchpad – which you can fingertip-write on, or use swipe or pinch or rotate gestures. Basically, if you can’t communicate with this machine, you’ve probably got some sort of social disorder. Spec all the driver-assist systems and it uses radar, stereo camera and ultrasound to figure out what’s going on all around. It can look for – and take action to avoid – vehicles, people and other obstacles coming from pretty well any direction except outer space. It’ll even drive itself for about half-a-minute before telling you to get your hands back on the wheel. OK, but I quite like driving myself, thanks awfully. Is all this new-fangled tech actually fun? 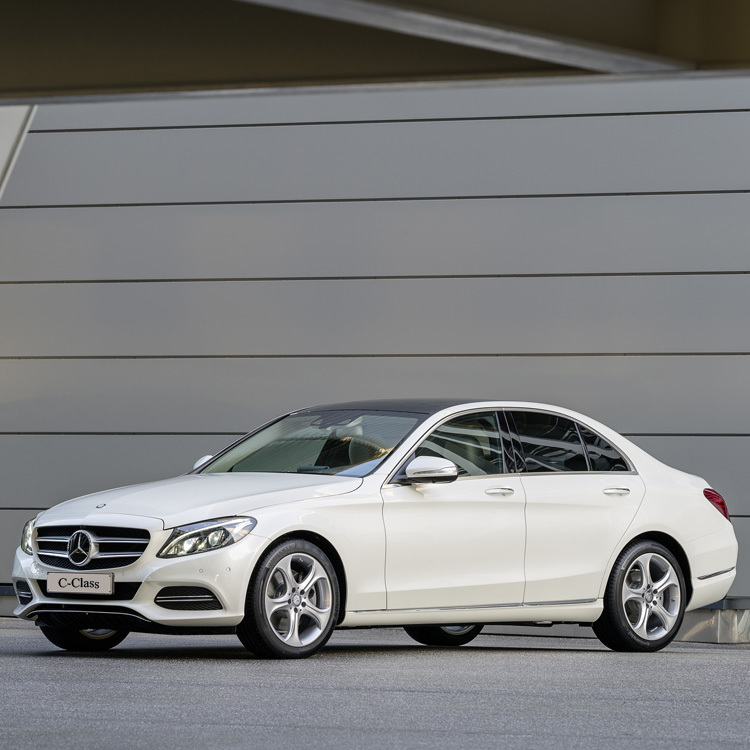 There’s been no attempt to make the new C-Class superficially aggressive or sporty. You just steer and the car takes care of things, right up to some mighty impressive speeds. It doesn’t feel exactly darty but it’s no barge either thanks to a significant weight cut since the last C-Class. The steering gets sharper on lock and it’s very progressive. 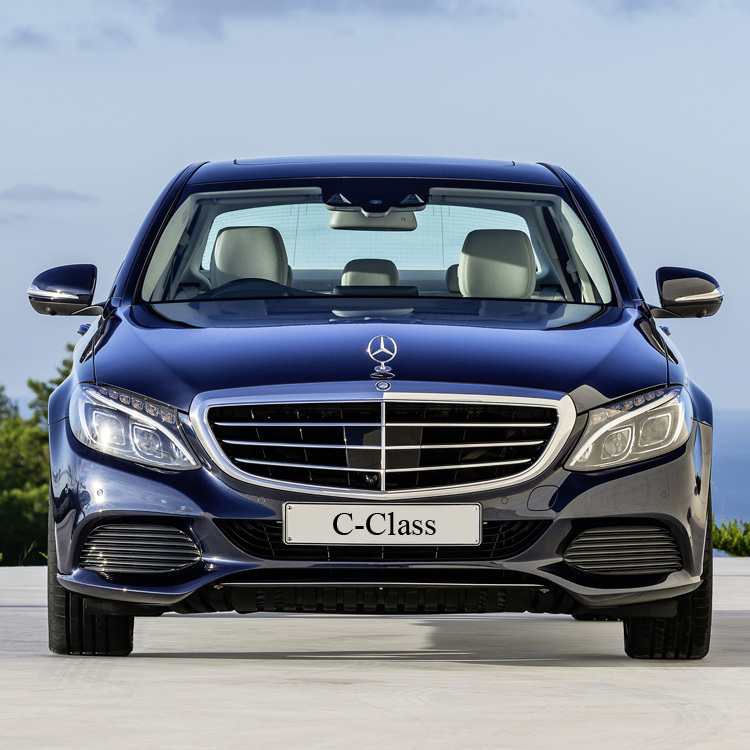 The new C-Class is all about comfort, ease of use and luxury. But modern luxury. It’s not one of those old-fashioned luxury cars that immediately adds 10 years to you. 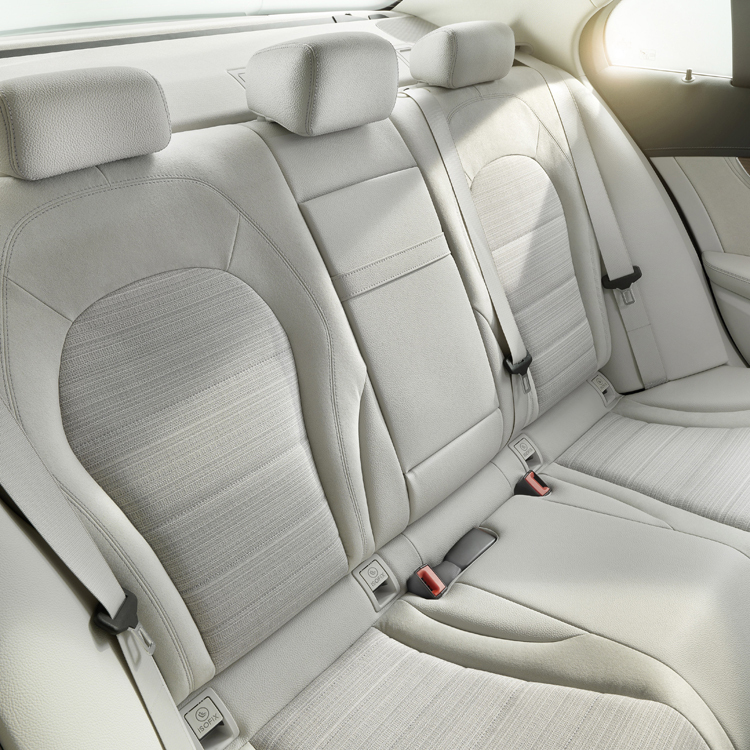 In Mercedes-world, comfort means confidence too. You can drive it like you’re chauffeuring a nun with a heart condition and it’s smooth and unperturbed. Or you can push it to its door handles and you still can’t fluster it. All in all, it’s got everything covered.